Motor yacht RIVIERA is a 24,00m (78' 8") charter yacht built by Alalunga and launched in August 2009. 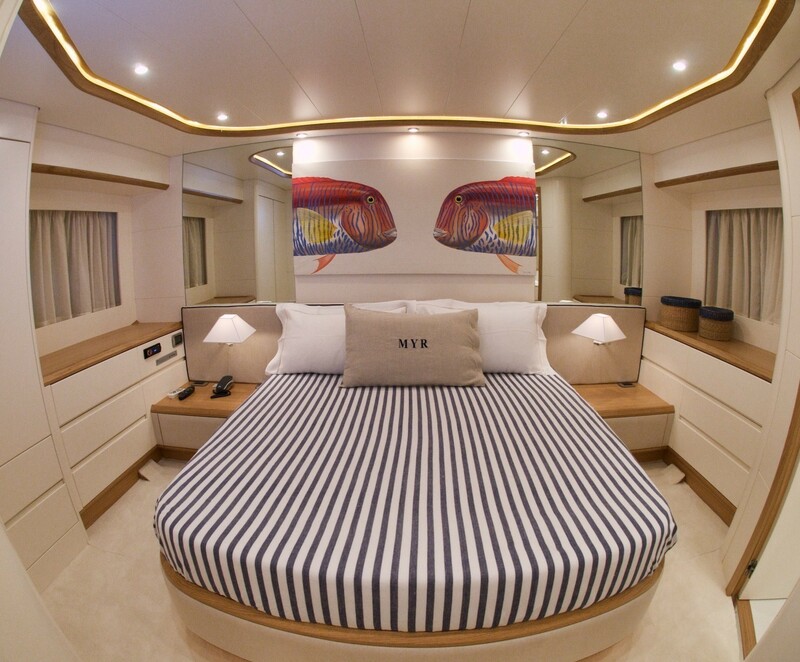 Motor yacht RIVIERA is a new version of the glorious Alalunga 78 Fly with all-new interiors courtesy of young designer Alessandro Vescia. 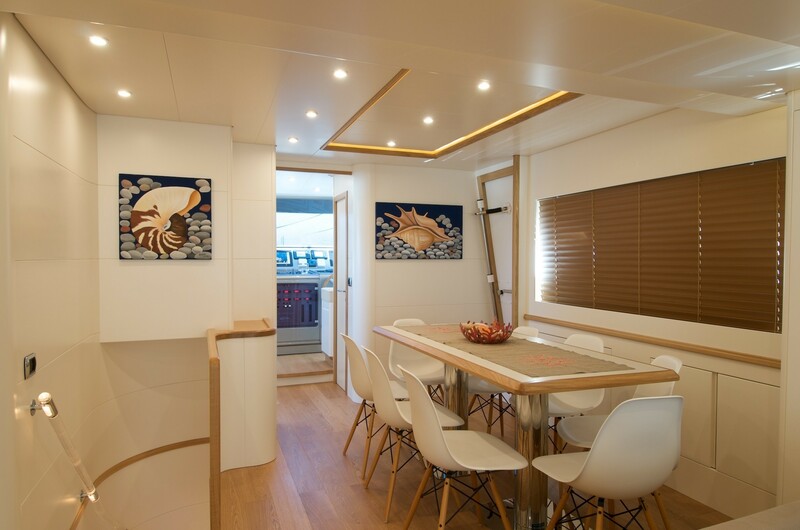 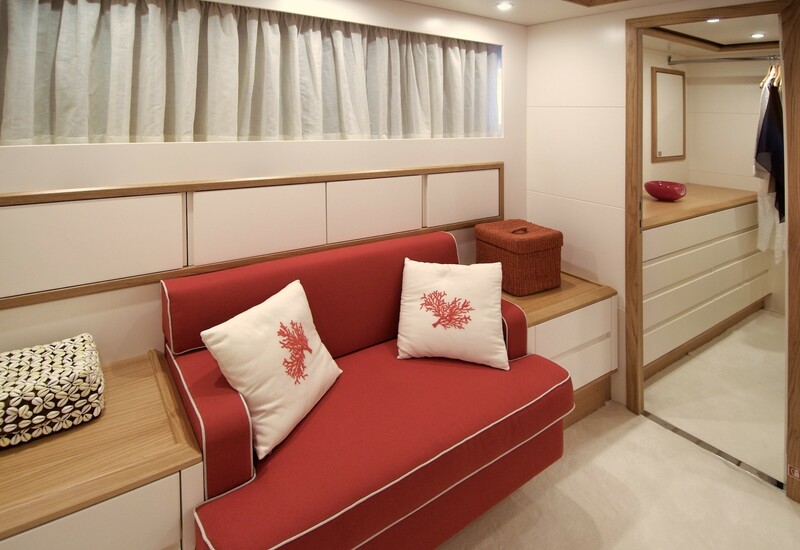 The yachts interiors are lacquered in ivory giving them a cool, bright feel. 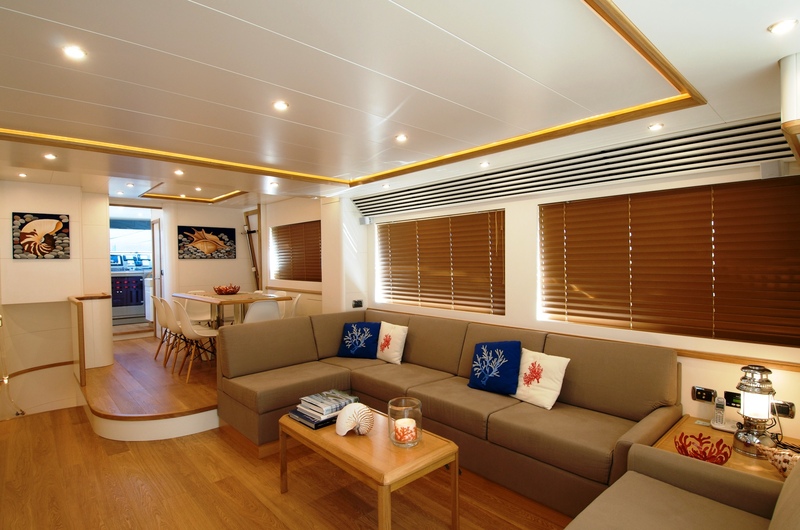 There are also blonde oak detailing and attractive lighting effects created by cleverly positioned spot lighting in the floors and ceilings. 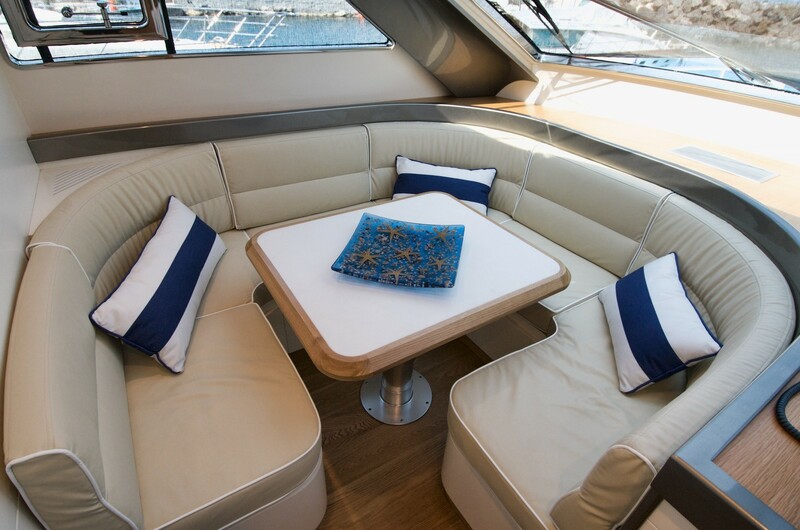 The Alalunga motor yacht RIVIERA has an aft deck leads into the saloon where the conversation area is separate from the eight-seater dining area. 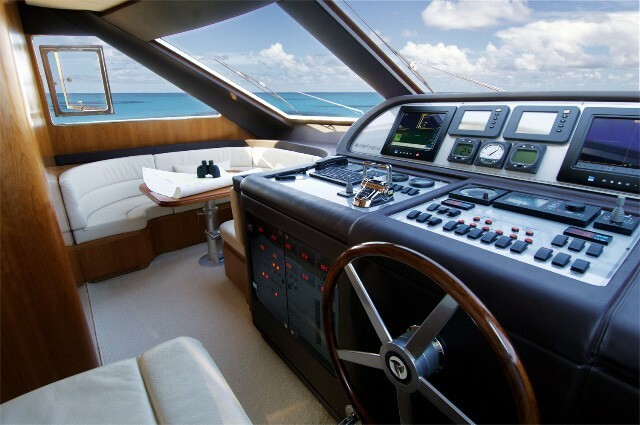 Further forward there is a large galley and an oak bridge. 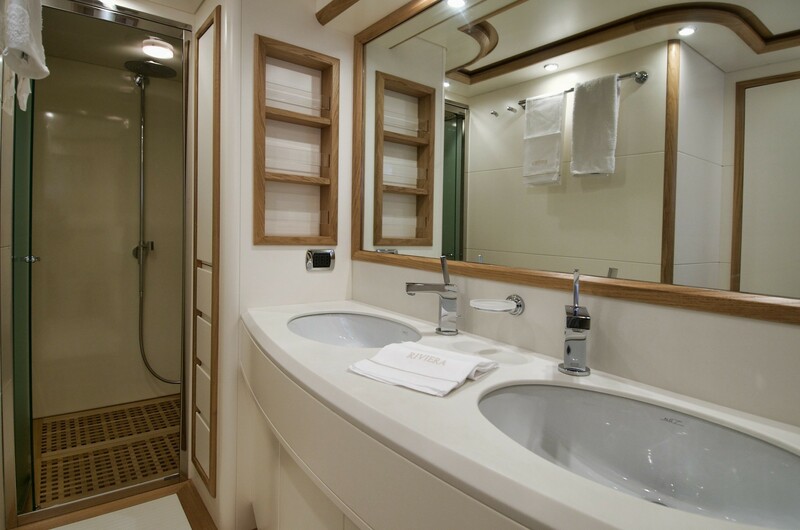 The guest accommodation is located on the lower deck, where there are four en suite cabins. The full-beam owner’s lies amidships. Motor yacht RIVIERA’s fly bridge is complete with second helm station and tender area and features chaise-lounges, a dinette and galley/barbecue unit. 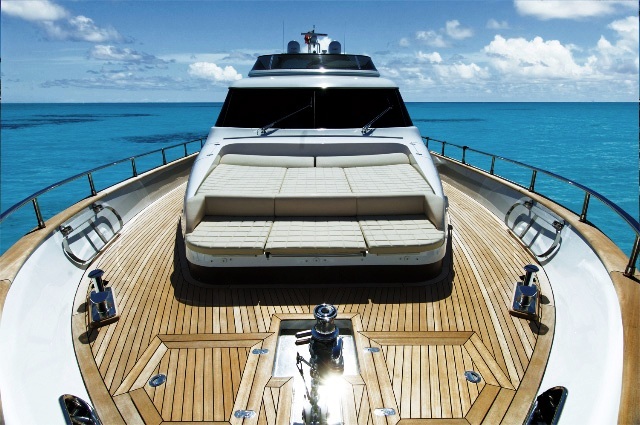 Luxury Italy based motor yacht RIVIERA is equipped with a pair of 1800 hp Caterpillars enabling her to reach a top speed of 36 knots. 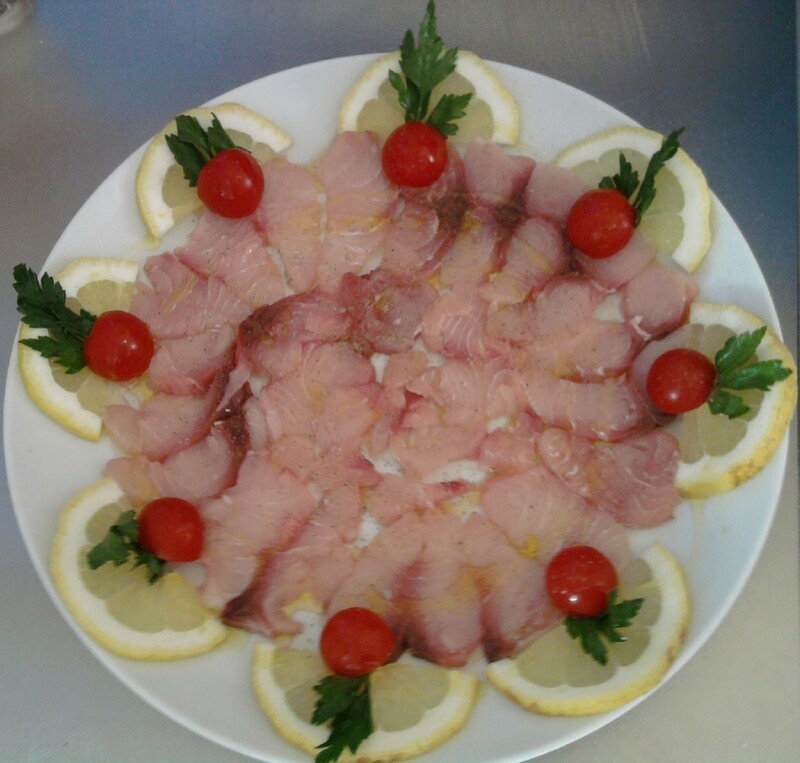 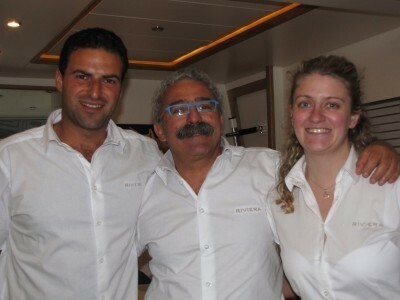 She has a crew of 3 and is based in Sorrento close to Naples and the Amalfi coast of Italy. 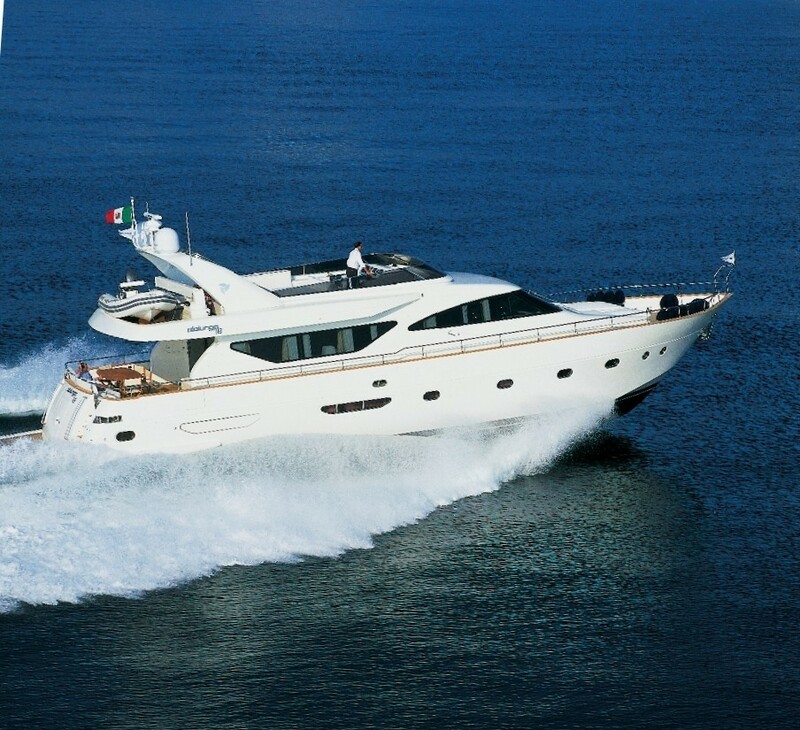 The yacht is usually based in Lavagna during the winter months and is available for Cannes FIF with waived delivery fees. 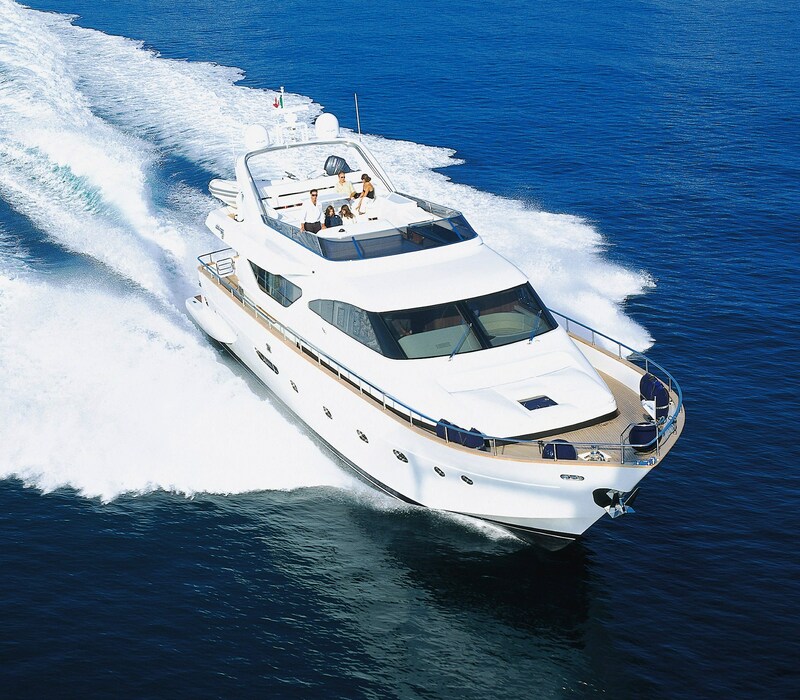 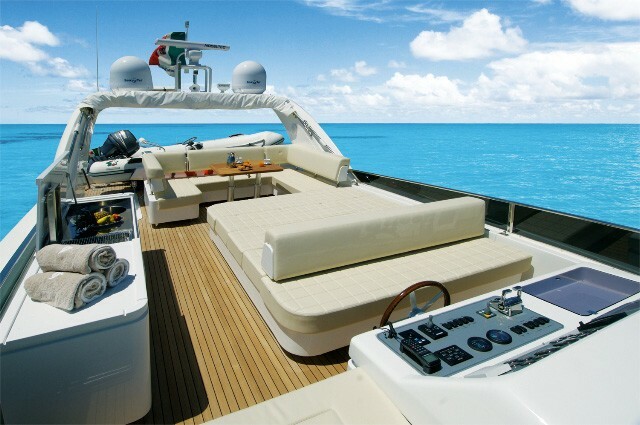 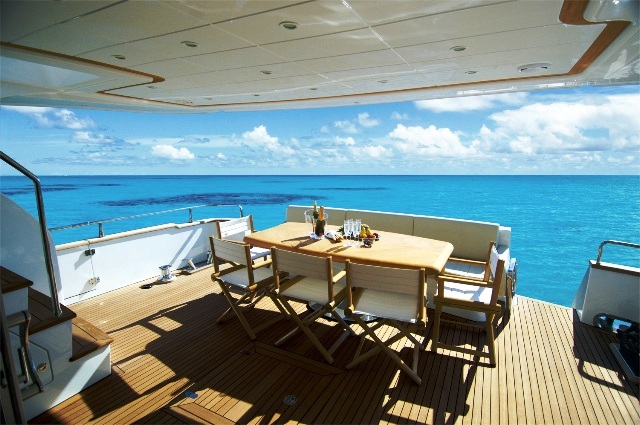 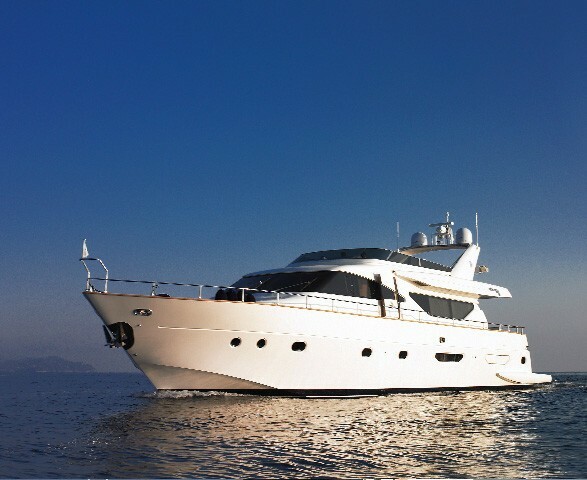 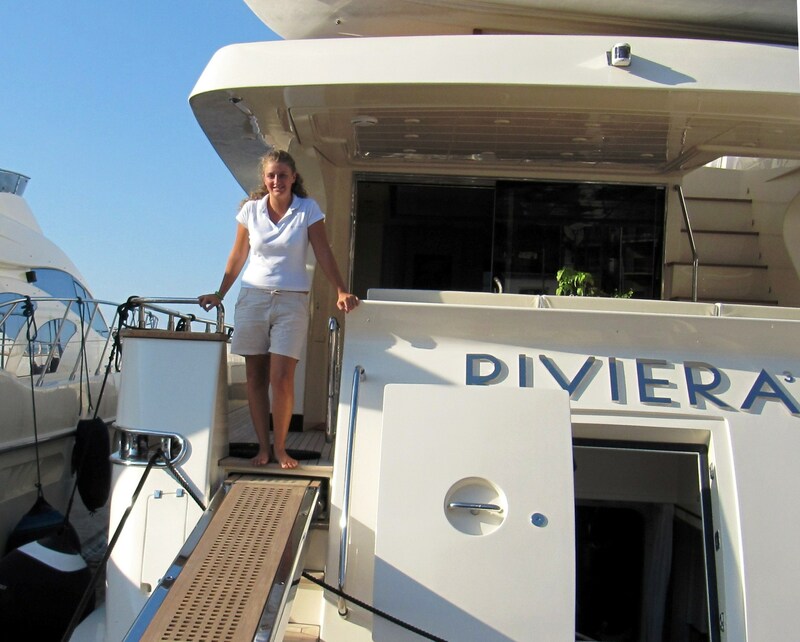 Luxury motor yacht RIVIERA has accommodation for up to 9 guests in 4 spacious cabins. 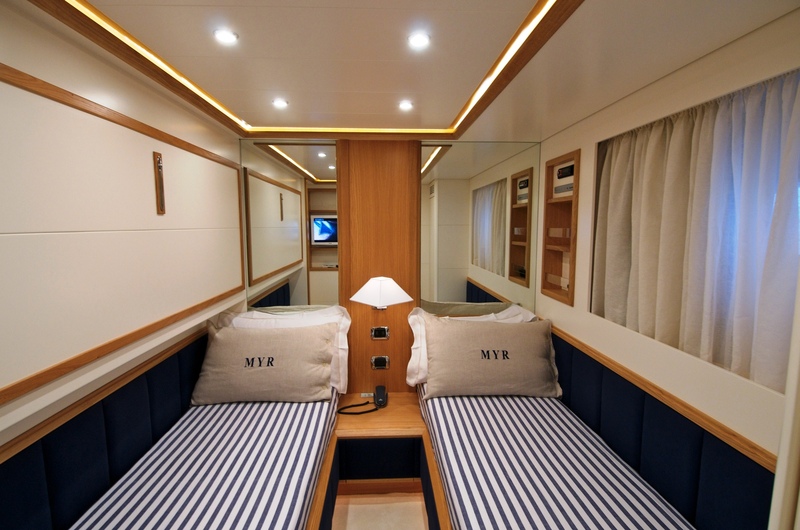 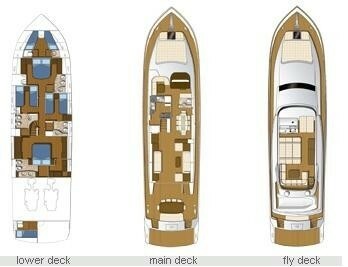 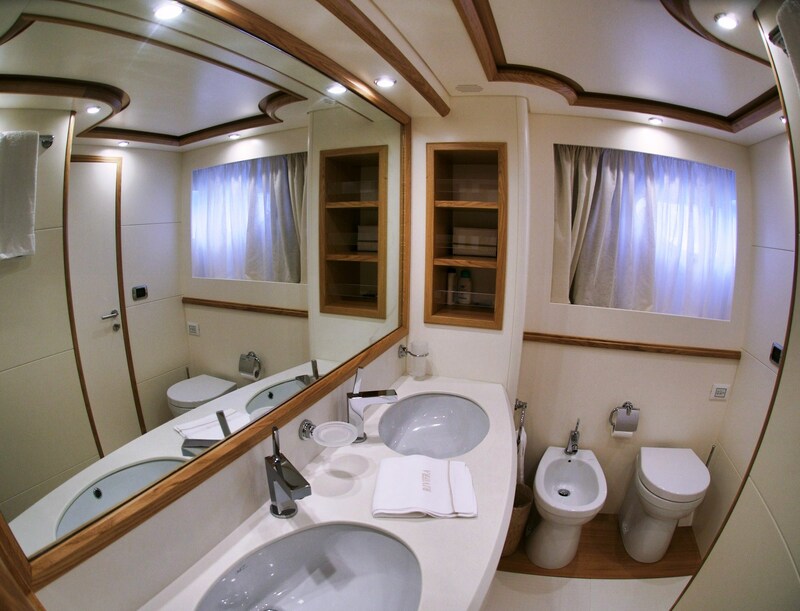 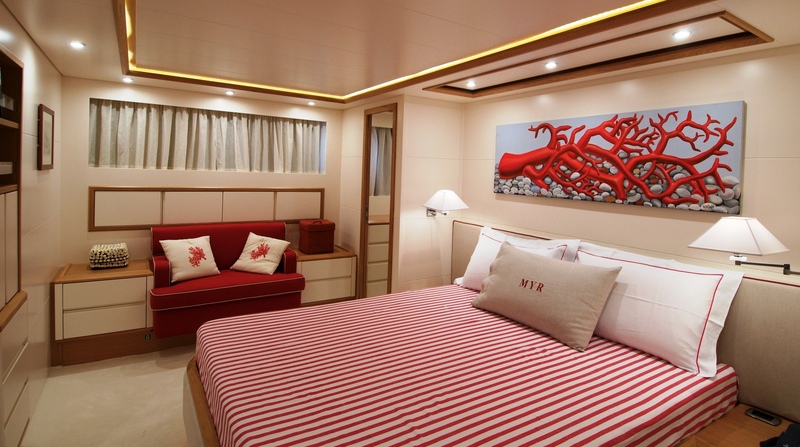 Her Master Double Cabin is located amidships on the lower deck while her VIP cabin with double bed is situated forward. 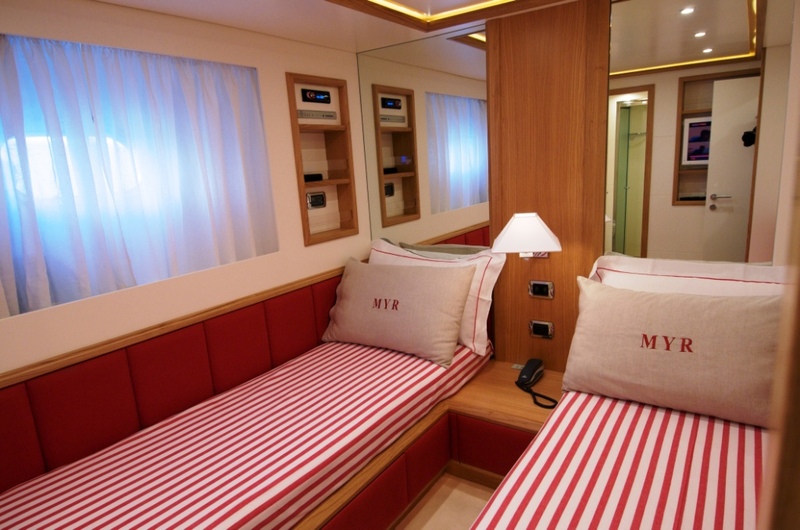 The two twin guest’s cabins are located to port and starboard, one of which has an extra pullman bunk bed.